CONNECT – KNOWING WHEN THINGS GET REAL. 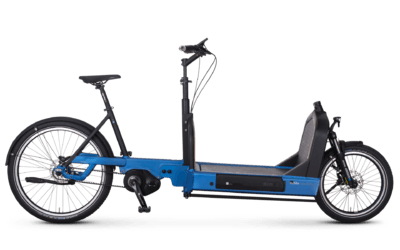 Our e-bikes are particularly valuable, especially in their role as indispensable companions in everyday life and leisure. 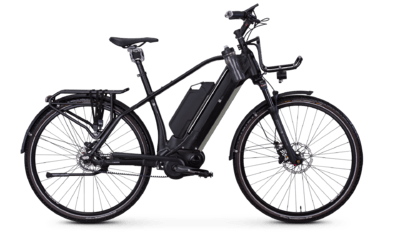 Thieves have long recognized that high-quality e-bikes can be a lucrative business. Connect is an intelligent security system that lets you know exactly where your e-bike is at any given time. 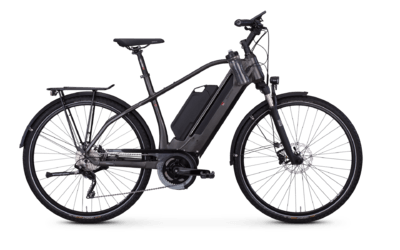 The GPS-based location and alarm system shows the exact location of the e-bike in a smartphone app with the touch of a button and reports any unexpected movements as an alarm. Thanks to a partnership with vodafone, this service is also available internationally. Once fully integrated, Connect sends a permanent GPS signal that shows the current location of the e-bike in our My Bike app. Especially intelligent is the integrated GPS Shield, an electronic zone boundary with motion detector. Just open the app and specify the radius in which the bike may move without an alarm being triggered. An integrated battery provides back-up power for 3 days. 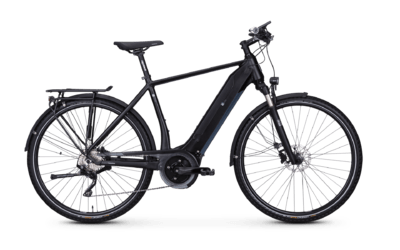 It recharges automatically via the e-bike's battery. In the event of an alarm, you can respond immediately, notify the police, and, if the thief is not promptly arrested, track the e-bike and determine the location after days. 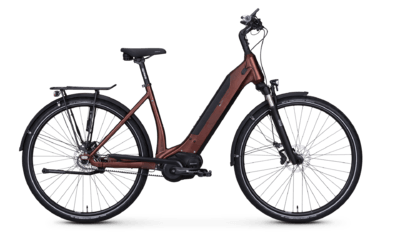 E-bikes with Connect usually find their way back to their owners quickly. This is important because insurance companies often only compensate for part of the loss when a high-priced e-bike is stolen. The additional security that comes with GPS tracking costs only €2.50 a month starting in the thirteenth month. We will cover the service charges for the first year. The Connect module in your e-bike receives data via the GPS signal. 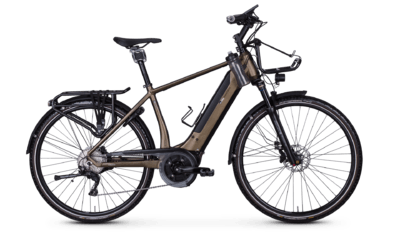 The Connect module establishes an internet connection from the e-bike using GPRS. 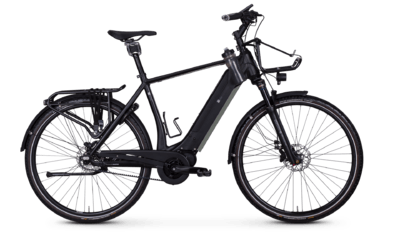 The Connect module sends and stores the position of your e-bike on an internet server. The location of your e-bike and much more is displayed in the My Bike app. Geo zones let you readily set a radius in which your e-bike can move. 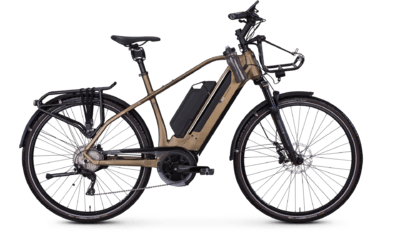 As soon as the e-bike crosses beyond that radius, you will be notified immediately. This works both for leaving or entering a zone. 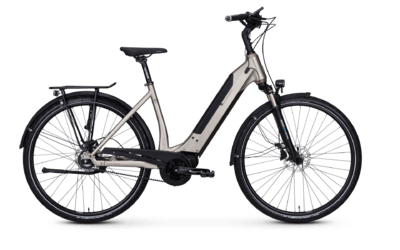 This way, not only can you react quickly in the event of a theft, but you'll also know when family members have arrived safely at home on their e-bikes. Track cycling tours, keep track of miles covered, and switch between practical day and week views with the clear bike history in the My Bike app. Here you can see at a glance which routes and how many miles you have ridden. The Connect module will provide alerts about suspicious movements or low battery charge so you can respond quickly in an emergency. Especially important for reliable theft protection: messages when leaving or entering the geo zones or speeds over 50 km/h, indicating your e-bike is likely on a van or a trailer. All notifications can be switched on or off at any time: you decide which messages you would like to receive!